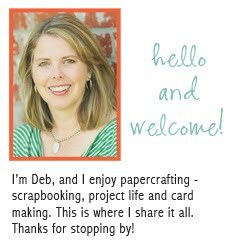 Here's what I've been up to... more scrapbooking. :) These were made with my Studio Calico Roller Rink kit. 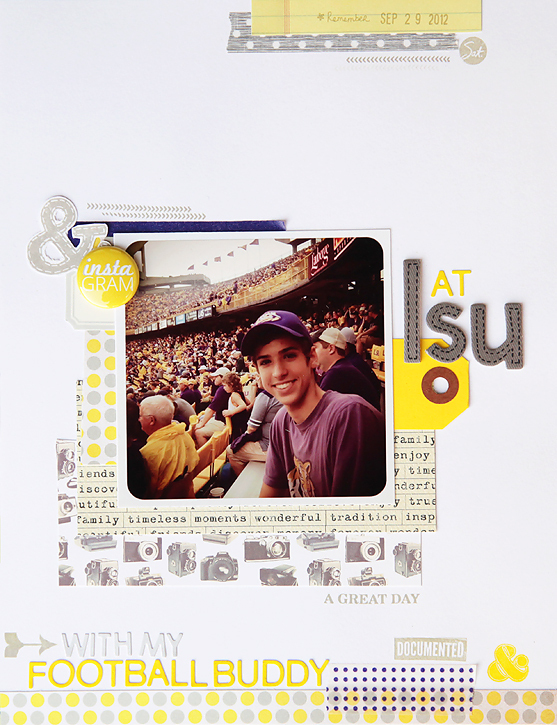 Even though I love LSU, I've never been a big fan of purple so I used a lot of yellow and grey with only a hint of purple to document going to a football game. This is from a while back when I took the boys to see Oak Alley for our Labor Day holiday. Alec was in first grade and what I remember most is that when he went back to school the next day, the teacher asked him to draw a picture of what he did on his day off from school. He drew himself watching TV... so much for going on an road trip to see a historical site. And this last one is from two years ago when Mason celebrated his 13th birthday. I love the oranges and reds and greens together! These are great! The LSU one is great. The mums in the yard of my building are gold and purple and I keep thinking of LSU! Well, I do like purple flowers. That's one exception to my dislike for purple! beautiful work, Deb!! I love your use of colors! always amazing! Wow. 3 fantastic layouts! The colors are fabulous. Really like your little bits of stamping here and there. Glad somebody agrees with me! 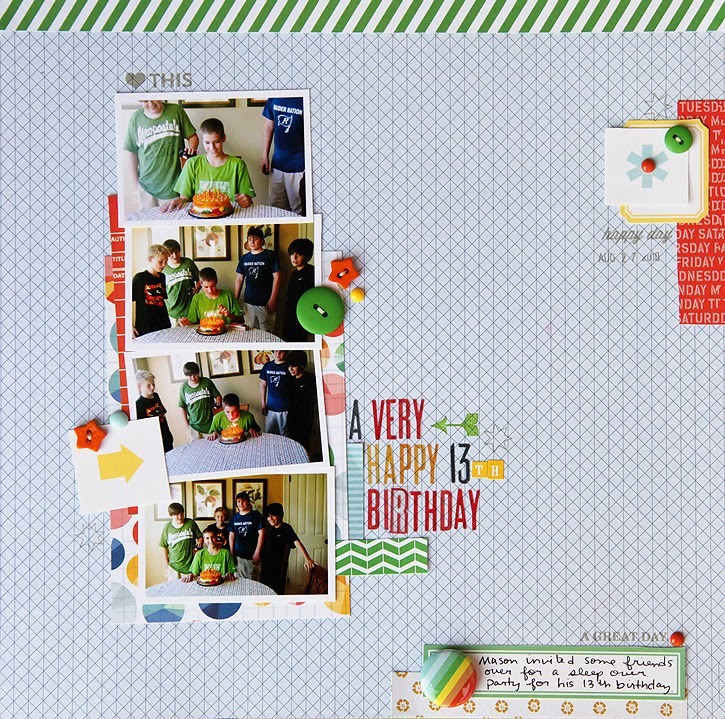 Love your layouts, and enjoy seeing what you do with the Studio Calico kits! Love all your pages as always!! I just love these layouts!! They are so bright and cheary!! !